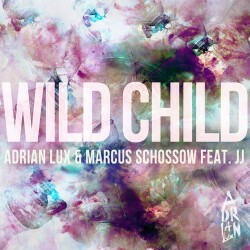 “Damaged” has already left us in eager anticipation for Adrian Lux’s new album due out next Spring, and he and Marcus Schossow's “Wild Child” has brought the suspense to a whole new level. "Wild Child" is one of those tracks that is inspiring, refreshing, and breathtaking all at the same time and leaves us looking forward to more magic from this rising progressive house pioneer. This beautiful collaboration is the newest release off Ultra Records and is now available on Beatport.